When Should a Woman Consider Starting Birth Control? When Should a Woman Start Birth Control? When Should Women Start Taking Birth Control? When the birth control pill became widely available to U.S. women in the 1970s, it revolutionized their lives. For the first time in history, the average woman had the freedom and ability to pursue higher education, earn more money, and decide when she would get pregnant and how often. In addition to those benefits, the pill also created healthier pregnancy outcomes for both women and the children they chose to have. Reproductive choice has been shown to improve positive economic outcomes for children and adults alike. While the birth control pill is highly effective at protecting women against unintended pregnancies, it can also improve the symptoms of numerous different health conditions, and free women from the pain and inconvenience of heavy periods and hormone fluctuations. On the surface, it might seem like women should start the pill or other forms of hormonal birth control once they become sexually active, but that’s not necessarily the case. The following article will explore when it’s safe to start taking the pill and how young women can benefit from taking oral contraceptives. What are the reasons women take the pill? Most women start using oral contraceptives to prevent unintended pregnancy. Currently, there are 61 million U.S. women of reproductive age, meaning they are between the ages of 15 and 44. 70% of those women are at risk of unintended pregnancy, meaning that they are sexually active, but do not want to become pregnant. The women who are at the highest risk of unintended pregnancy are between the ages of 15 and 19. Many adults may be uncomfortable with teenage sexual activity, but when around half of all teens are sexually active, it’s important that they have access to safe and effective birth control. Male condoms have an effectiveness rate of 82%, and the withdrawal method as an effective rate of 78%. The pill, in contrast, has an effectiveness rate of 91%. Out of these three birth control methods that teens are most likely to use, the pill is the only one that teenage girls have direct control over. What is the earliest age that birth control is prescribed? Age 16 is the most common age for teenagers to start taking the pill. At this age, most young women have established a cycle. It’s true that some teenagers are ready to start the pill at a younger age, but it’s crucial to discuss this with a doctor first. It’s also important to consider the psychological maturity of the individual because the pill does require that the user sticks to a schedule or regimen when taking it. Forgetting to take a pill or skipping and then doubling up on a dose can have many side effects, including ovulation and also hormonal imbalances that can manifest as headaches, nausea or vomiting. Not taking the pill correctly means the user loses most of its benefits. Besides preventing pregnancy, how else can birth control help young women? 7% of birth control pill users take the pill strictly for medical reasons, and not to prevent pregnancy. A woman does not have to be sexually active to benefit from the pill. The pill can help regulate hormones, decrease the risk of uterine and ovarian cancer, and also prevent bone loss as women age. Also, the pill can also help teens and young women with other health issues as well. Teenagers are more likely to suffer from heavy, irregular periods than older women. Severe PMS symptoms can cause acne, cramping, and bloating that can make it harder to concentrate in school or even attend school. This can be painful, and emotionally distressing for young girls. In addition, heavy bleeding can cause iron deficiency anemia, and teens are at higher risk of this disorder because their bodies use up iron stores more quickly than adults. The pill can alleviate these issues because it regulates hormone levels and also lessens bleeding during a period. PCOS is a hormonal imbalance that can cause heavy periods, irregular menstruation, excess hair growth, weight gain, and insulin resistance. Symptoms typically start in the teen years and can be incredibly difficult for teenagers to navigate. Birth control pills can alleviate many of the symptoms associated with PCOS. Hormonal swings related to the menstrual cycle can make adolescent acne worse. Teenage girls are often prescribed hormonal birth control to lessen acne severity and improve the condition of the skin. Untreated acne can be painful, leave permanent scars, and also cause emotional distress in teens as well as adults. Endometriosis is a condition where the cells that comprise the uterine lining, or endometrium, begin to grow outside of the uterus. They can attach to the outside of the uterus, on the kidneys, bladder, ovaries, fallopian tubes, or intestines. Left untreated, endometriosis can cause excruciating pain, anemia, and can also lead to infertility from internal scarring and increase the risk of ovarian cancer. The symptoms of endometriosis usually start in the teenage years. Birth control pills can be used to suppress the growth of endometrial cells and protect women’s fertility. 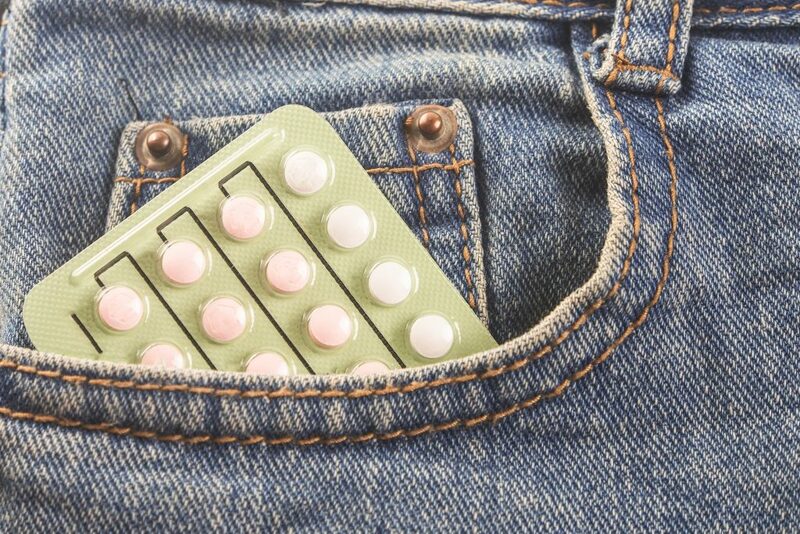 While birth control pills are the most commonly prescribed hormonal contraceptive for teens, forgetfulness can be a concern. If parents or guardians are worried their teenager will be forgetful taking the pill, an IUD or a vaginal ring can give the same health benefits and protections as the pill without as much user intervention. It’s now easier than ever before to access safe and effective hormonal contraceptives. Pandia Health is leading the way with convenient birth control delivery services for women who wish to start the pill, patch, or birth control ring. Contact Pandia Health today to explore your birth control options.